The Irwin Long Series Blue Groove 4X Flat Bits have a patented groove point, and cutting edge designed to cut and not scrape the timber 4 times faster than standard flat bits. The parabolic scoop optimises control and removal of wood chips. Increased relief angle from 12° to 17°. 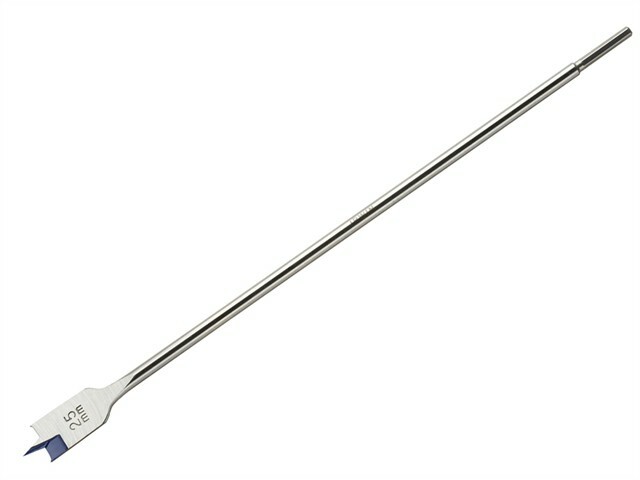 The shank is 400mm in length and 10% larger in diameter for added durability.